There is a mountain of educational research which you may not have time to read for yourself. Below you can find my reviews of books on education. Allow me to help you apply the research to your particular situation. This book was very easy to read and full of good ideas that are simple to generalize to any class. For instance, many students think they will learn the material if they read and reread the text. This, however, only breeds familiarity with the text but no understanding of gaps in knowledge. Instead, frequent testing, either for credit or not, checks knowledge and shifts it from short-term to long-term memory. 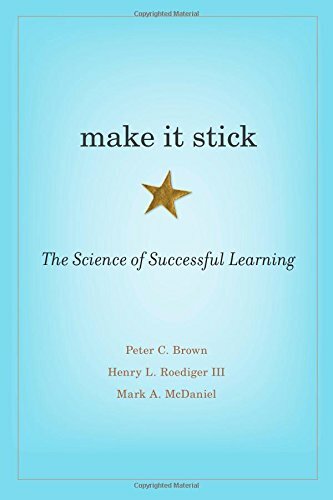 If you need to learn something new yourself, this book also addresses being an efficient learner. This book contains some magnificent ideas. For one, scoring students on an all-or-none manner with chances to correct work helps students to better understand the level of rigor that you really want from an assignment. From my own experience, this approach requires a strong introduction to students or, preferably, to be used by all the faculty. I also appreciated the clear suggestions for syllabi, particularly those that outline how to get a particular grade in class. Not everyone wants an A in class so set a baseline level of knowledge to pass the class and then add material, either breadth or depth, to get higher grades. 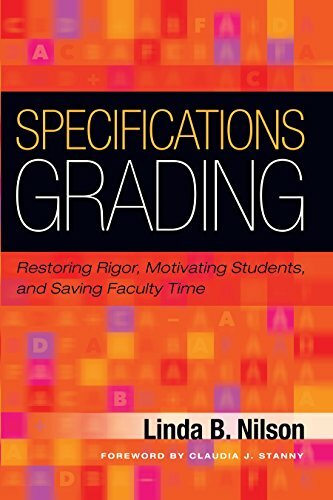 Okay, this one isn't a book but current ongoing research in the efficacy of improving student assignments. The principle researcher, Dr. Mary-Ann Winkelmes, was able to show significant increases in academic confidence, student engagement, and retention to the subsequent year when faculty increased the transparency and relevancy of just two assignments in their courses. During her presentation at Teaching Talks III in Portland, OR, in October 2016, Dr. Winkelmes joked that the researchers were looking for the minimum effort necessary to make a significant difference. While that goal seems laughable, it was driven by the understanding that faculty are already overwhelmed by their responsibilities and simply don't have the time to undertake complete overhauls of their courses. Collaborators are welcomed in Dr. Winkelmes' study. The team hopes to include data from as many higher education institutions as possible. They are happy to share their online pre- and post-survey tool as well as the tools to create more transparent assignments. They are also blessed with mountains of data, if you are interested in participating in analysis.